to become successful citizens, workers, and leaders in a global economy. offerings with the needs of local business and industry. Congratulations to Wilkes County's first apprentices! 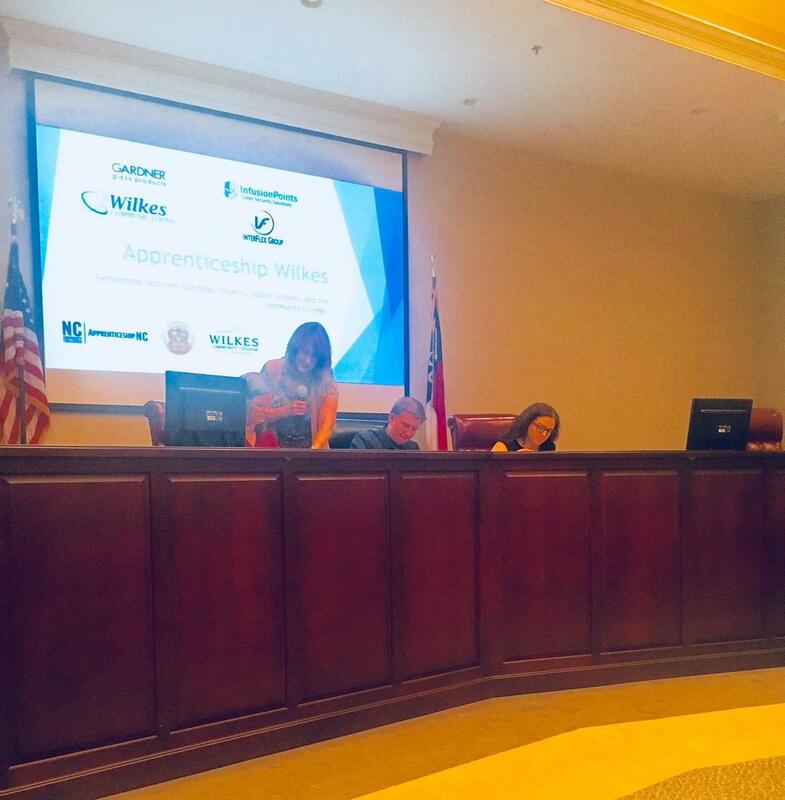 Apprenticeship Wilkes hosted a signing ceremony in the Board Room honoring Kaitlyn Bell (InfusionPoints), Tate Foster (Gardner Glass), and Hannah M. Billings (InfusionPoints). Each of these students completed their pre-apprenticeship in the summer of 2018 & were offered a formal apprenticeship upon successful completion. These students will be learning valuable skills from both on the job training and courses with Wilkes Community College, specific to their trade. A big 'Thank You' to Wilkes Economic Development Corporation for sponsoring this event. 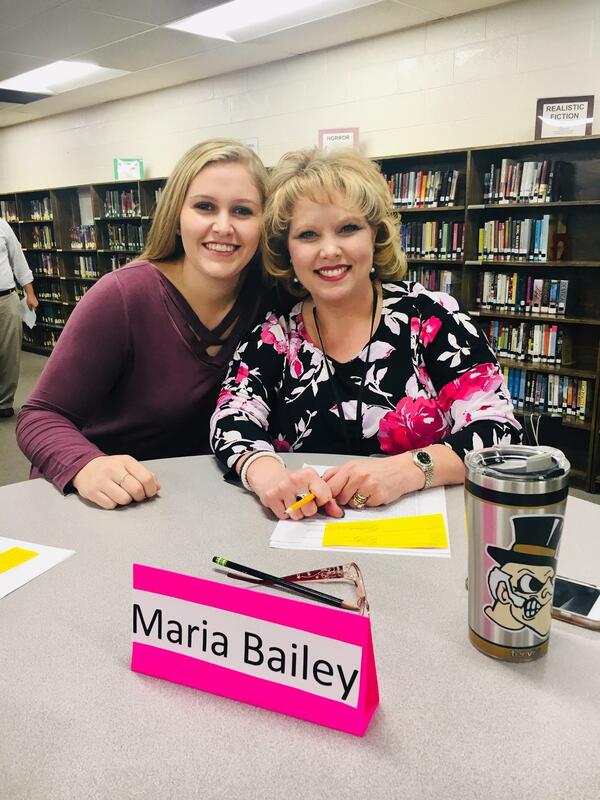 CTE and WCHS Career Coach, Teresa Duncan (Wilkes Community College), teamed up to give students a mock interview experience with the help of our local business partners, WCS and WCC. Students learned about resume writing and interview skills prior to their mock interview. Students rotated through a resume building workshop, social media do's and don'ts, an academic interview, and a job interview. Many students had resumes they created or built with their CTE teachers to impress our interviewers. We would like to give a special thanks to Dennis Huggins (WCS), Ashley Davis (NC Works), Lisa Barlow (Goodwill), Jack Lynch (BB&T), Camilla Lovette (SECU), Tamika Parks (SECU), Jody Freeman (Gear UP), Joe Bullis (WCS), Maria Bailey (WCS), Savannah Snow (WCS), Bekah Gardner (WCC), Sherry Cox (WCC), Keith Lyall (Horace Mann), Beth Foster (WCC), Jill Masten-Byers (WCS) and Jon Hutchins (WCC) for participating in our day of Career Development! As a result of this experience, students were able to receive valuable feedback from hiring managers and turn their jitters into confidence as they prepare for their futures! 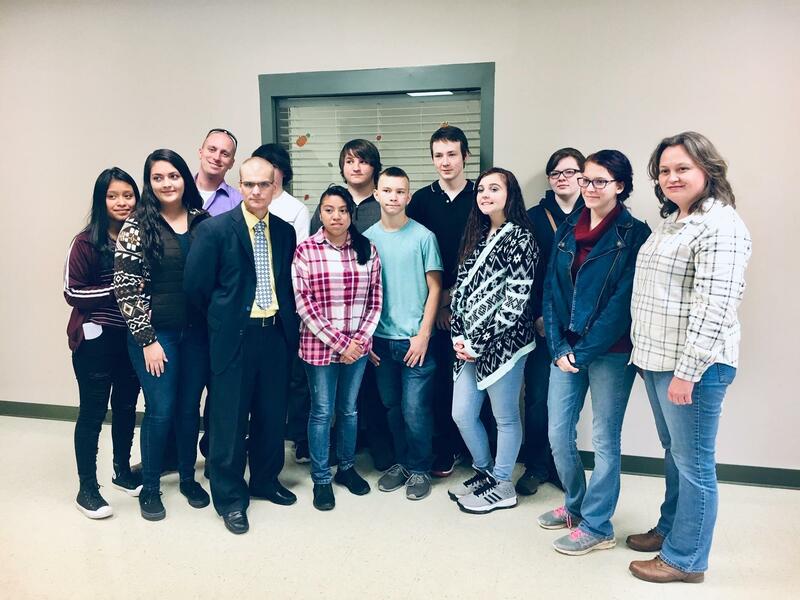 November 2018: Mrs. Jamie Minton (WWHS) partnered with WIlkes County Sheriff's Department & Gear Up to provide a Thanksgiving meal for our local Heroes. Feed the Heroes is a county-wide effort to thank those who serve our community. Mrs. Minton's students cooked turkeys, carrots, slaw, green beans, homemade biscuits and much more! Students also toured the facility, including the 9-1-1 Call Center and the Evidence storage to learn about careers in law enforcement. In compliance with federal laws, Wilkes County Schools administers all locally operated educational programs, employment activities and admissions without discrimination because of race, religion, national or ethnic origin, color, age, marital status, pregnancy, military service, disability, or gender, and provides equal access to the Boy Scouts and other designated youth groups, except where exemption is appropriate and allowed by law. De acuerdo con las leyes federales todos los programas educativos locales y toda actividad de empleo del sistema escolar del condado de Wilkes se administra sin discriminación en base a la raza, la religión, el origen nacional o étnico, el color, la edad, el estatus marital, estado de embarazo, servicio militar, discapacidad o género, excepto cuando la exención sea la apropiada o permitida por ley.